Song of the day: That Petrol Emotion – "Hey Venus"
I was over yonder at the Power Population blog (Hi, PP!) 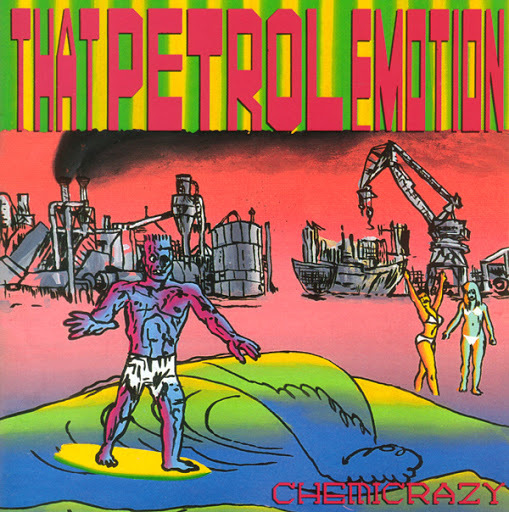 the other day, and a recent post featured Chemicrazy, an album by Irish band That Petrol Emotion. I was surprised to see it mentioned on a blog, or anywhere else for that matter, because I must admit that I felt like I* was the only person to have bought that album when it was released in 1990. As a bonus, here a couple of other sterling tracks from the album. You are currently browsing the archives for the That Petrol Emotion category.